You are welcome! Are there any legal issues involved in Canada! Having that said, running a witness node will not be illegal in any ways, but the BTS salary and expenses will have to be declared as such. Why a worker proposal? Not a witness? Since this thread mentions "Witness Proposal", your post tells me I've made a mistake by creating a worker proposal. Doesn't a new Witness need to be voted in using an initial Worker Proposal? "Workers are the "catch all" group where if you have an idea for something that could improve the network." Anyone can run a full node and offer it to the public, but this is an unpaid/unrewarded role. No worker proposal is required to run full nodes nor witness roles. Anyways, I've just registered to be an active witness in Canada. My local node was working fine already, but I'll install it on my dedicated server and ask for your votes. 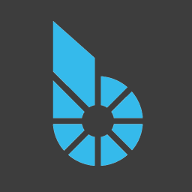 I guess since I've already paid for the Worker proposal, I'll convert that into a Bitshares French documentation translation... That is something lacking for us frenchies! Is there any witness node in Vancouver? I don't think there is a node in Vancouver... But now there is in Montreal! It is great to finaly have Low Latency! Currently at 111ms when I use to get 1500ms to 2000ms with all the other nodes. There has been quite a few requests for a witness located near the North-East coast of the USA - Canada. Please, consider voting for the witness "neoreel-1" located near Montreal, which is currently in position 98 with 50 million votes. Hi, for better security, witnesses (block producing nodes) should be running separately from API service nodes (the ones serving wss:// to public). Witnesses should setup hot backups. Should not publish IP addresses even locations of your witness nodes. Witnesses should publish price feeds. The actual witness nodes are not (or at least should not be) allow incoming connections from the general internet. They typically run in a very limited configuration, for performance and security reasons. Many witnesses are running additional nodes as seeds, and sometimes as full (API) nodes as well. Witness pay is quite generous, I think we can reasonably expect witnesses to run a full node as well. It seems wss://relinked.com/ws is now a testnet API node. @NeoReel is it intended? It is correct that you can't publish price feeds until you've been voted in. That's one of the reasons why you have a testnet witness - check that your setup works on testnet, then it should also work on mainnet. Missing a block once in a while is normal. If it happened at the full hour, it could be due to https://github.com/bitshares/bitshares-core/issues/504 but I think that's unlikely on testnet. Possibly caused by network glitches. Also check that your server clock is in sync. Edit: Maintenance happens every 2 minutes on testnet, not at the full hour.